Implement Whatsapp as a businesslike communication channel with this Whatsapp integration. SaySimple supports organizations in implementing Whatsapp as a businesslike communication channel with their Whatsapp integration. 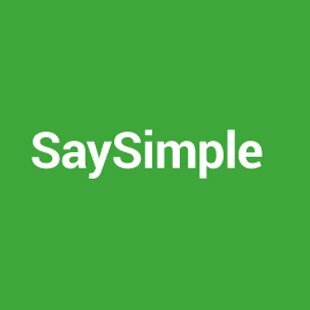 By setting high standards, SaySimple can deliver a complete reliable Whatsapp solution. Combine the strength of Whatsapp with the software of TOPdesk. Using Whatsapp as an opportunity to reach your servicedesk is an approachable way of contact. This also reduces the amount of incoming e-mails and calls and delivers high satisfaction levels. Work more efficient and improve the positive user experience. Please note: TOPdesk is not responsible for the solution featured on this page. If a solution no longer functions, please contact us.